Charlotte Elaine Kirchhoff was born on November 25, 1946 to Lavern and Jackie (Cook) Kirchhoff. She was raised by Dorothy Kirchhoff in Buck Creek. Charlotte graduated from Sumner High School and went on to attend Hawkeye Tech and received her Associates Degree. After graduation, she performed clerical work in the Department Secretary for the Agriculture Program at Hawkeye Community College. Charlotte was a fantastic artist and made beautiful unique crafts. She also enjoyed reading and spending time with her family; especially her grandson. Charlotte was an amazing friend to many and had a forgiving spirit that she was willing to share with everyone. She will be greatly missed. 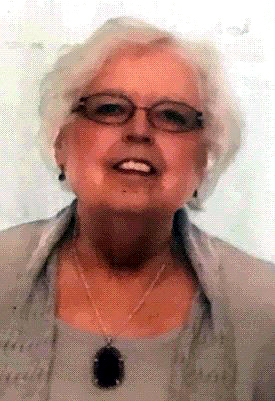 Charlotte Elaine Kirchhoff died on Tuesday, January 22, 2019 at the University of Iowa Hospital surrounded by friends and family due to complications of congestive heart failure at the age of 72. She is preceded in death by her parents; one brother: Scott Matthews; and one sister: Delores “Dee”Pruisner. Charlotte is survived by her son: Andy (Amanda) Kirchhoff of Waterloo, one brother: Lee Matthews; two sisters: Lynn (Greg Ragsdale) Folkers of Janesville and Colleen (Michael) Rosberg; one grandson: Anthon of Waterloo; and many beloved friends including her friend for over 40 years: Tonia Kruse of Waterloo.